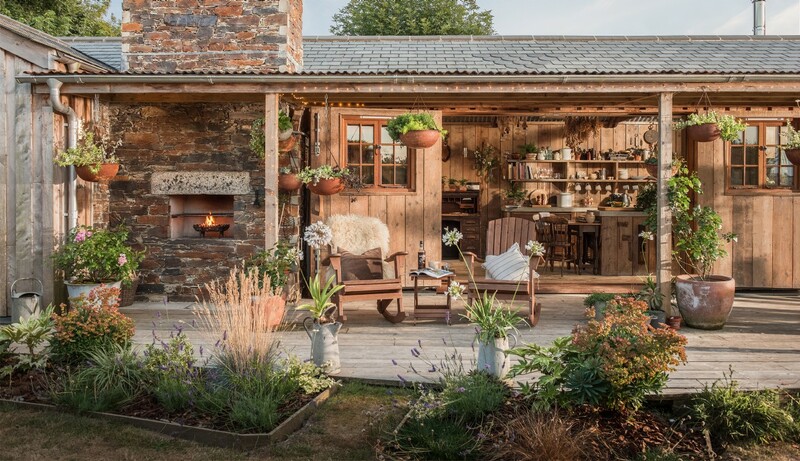 Firefly is the ultimate self-catering cottage hideaway in Cornwall. 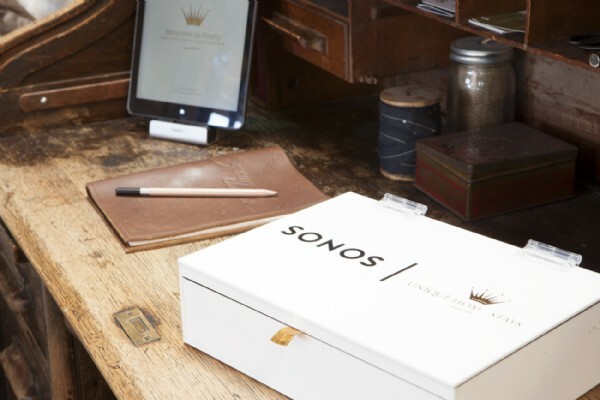 Embrace your inner nomad with Firefly’s earthy, back-to-nature appeal. 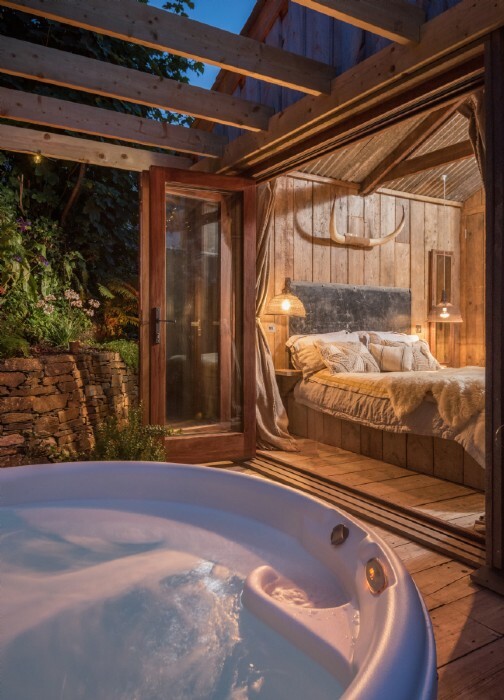 Exuding a rustic charm, this woodcutter’s cabin - complete with hot tub and wildlife pond - offers a unique ‘into the wild’ experience, perfect for solo travellers, or a romantic cottage retreat with your loved one. 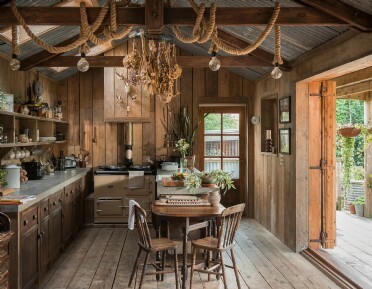 The real luxury here is the organic, natural beauty of the simple life. 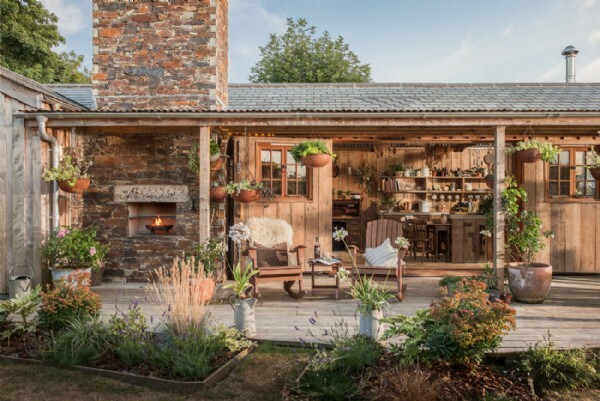 Winding through North Cornwall’s country lanes, discover this authentic woodcutter’s cabin in a tiny rural hamlet near Mawgan Porth. 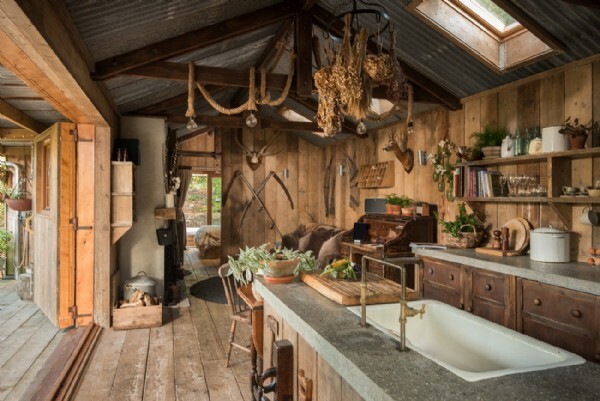 Firefly is a macrocarpa timber-clad shack with a warm, weathered finish. 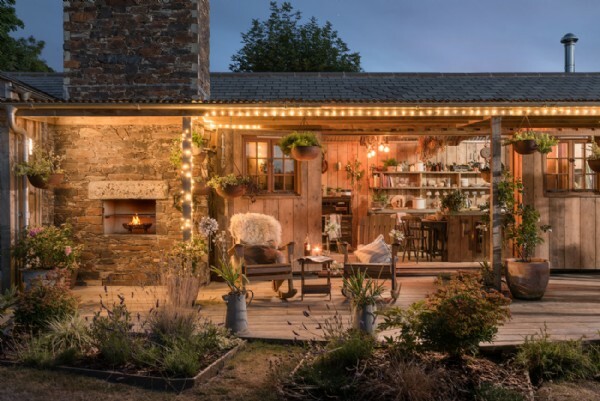 This luxury cottage retreat has an outside fire perfect for BBQ's and large barn doors that open out onto the deck; an intriguing home where clever craftsmanship meets huntsman's lair. 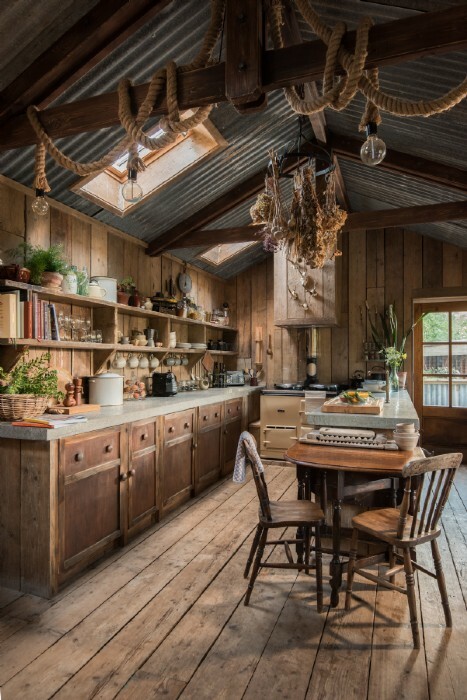 Inside you’ll find a fully-equipped kitchen, an open fire, a deep velvet sofa strewn with fur atop a thick crochet rug, and shelves stacked with vintage books, trinkets and woodland treasures. 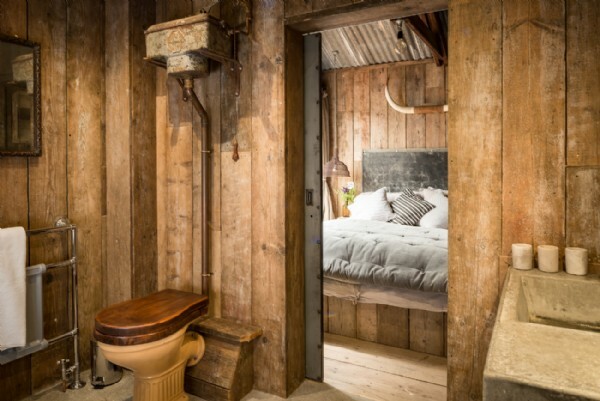 Behind the thick hessian drape you’ll find the woodcutter’s rough-luxe master en suite bedroom. 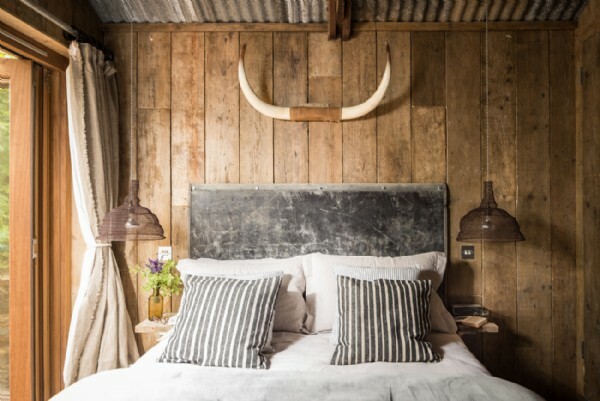 The king-size bed sits beneath a set of imposing cow horns and is dressed in crumpled gray French linens with a crushed velvet bedspread. 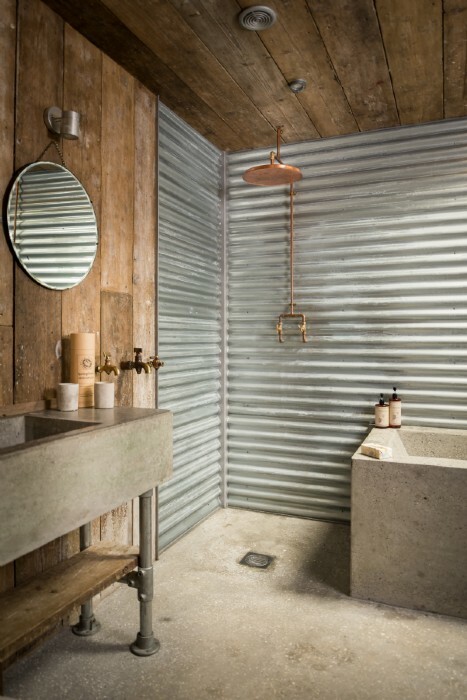 Bi-fold doors open out onto a private decked area, the corrugated tin bathroom is separated by a sliding steel barn door, and features a cast iron cistern, rain shower and softly polished concrete bath with vintage brass taps and skylight views out to starlit nights. 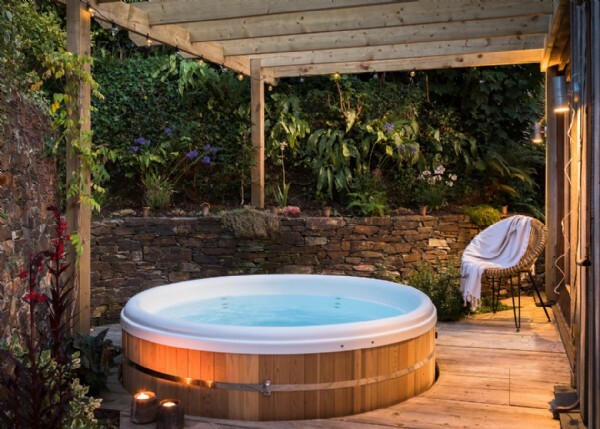 Bound by a leafy wall of evergreen 'red robin' and rambling roses, the gardens feature small grassy lawns, wildflowers and a hot tub. 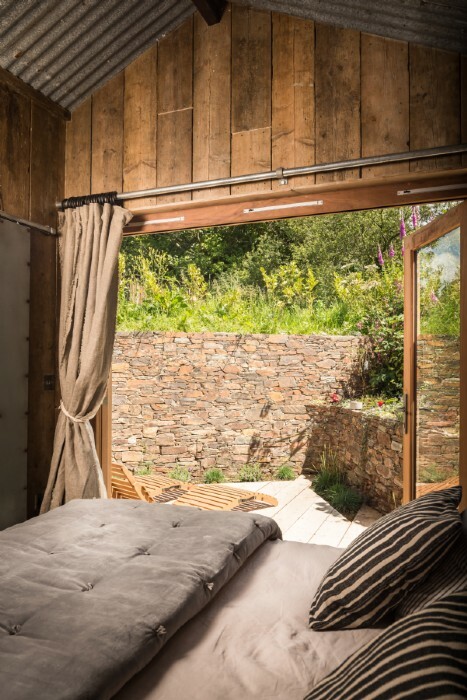 Throw open the bedroom’s bi-fold oak doors and laze on the sundeck with a stack of your favourite reads. The wildlife pond is a nature lovers dream, best observed by moonlight from the rocking chairs on the veranda. 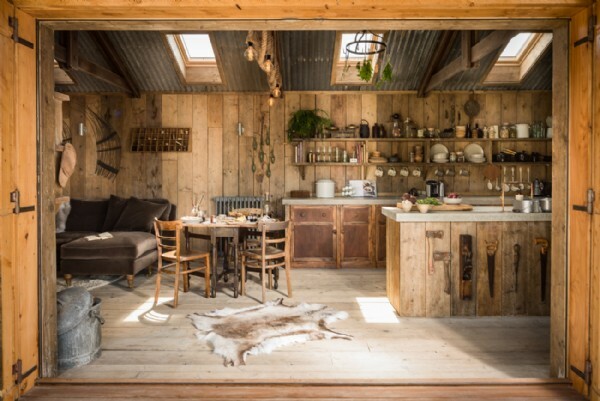 Open the giant barn doors to create an indoor-outdoor living space and cook up some fresh foraged fodder on the outside fire. With some of Cornwall's best spas around the corner, you won’t have to drive for more than fifteen minutes to find a rejuvenating salt scrub or tailor-made seaweed treatment. A windswept walk on Watergate Bay followed by a champagne cocktail (or iced tea for those wanting a real detox) is sure to relax you. Back at the ranch, cool off by dipping toes in the pond after a day stomping the coast path and then bask in the glow of the crackling open fire beneath a blanket of twinkling stars. 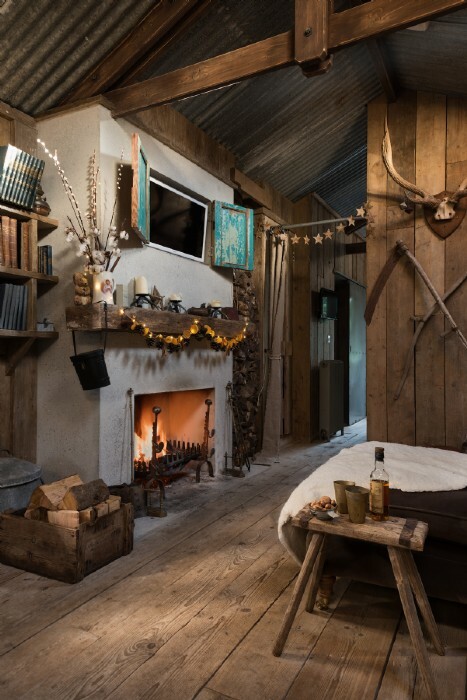 In winter Firefly is the ultimate hideaway cabin; curling up fireside with old black and white movies as snowflakes fall all around will make for an unforgettable romantic getaway. 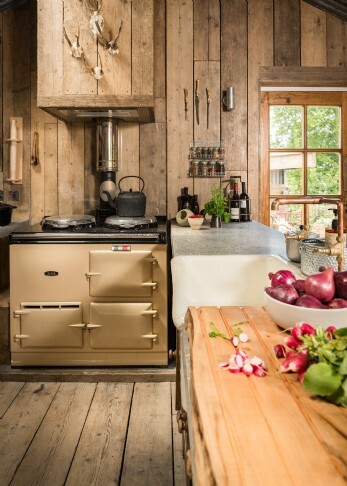 This woodcutter's cabin has an Aga along with all the modern day essentials, including a Belfast sink, microwave, dishwasher, washer dryer and toaster. 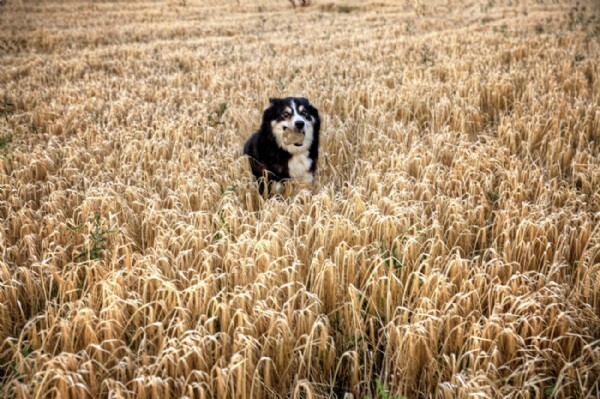 There is ample parking for two cars and a fully enclosed garden, perfect for letting dogs roam free. 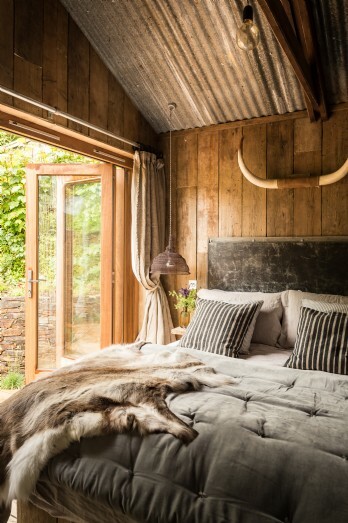 Style: From knotty rope lights to crochet wool rugs and reindeer hides, interesting textures offset the natural wooden palette at Firefly. A focus on the handmade creates a quirky collector´s lair ambiance. Firefly offers an idyllic haven at which to escape the everyday. 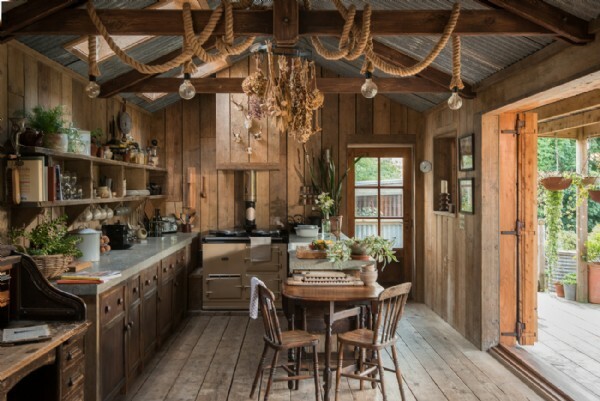 There is a warm and welcoming vibe to this inspiring, wild hideaway, where wood cladding provides an authentic backdrop for unearthed curios and trinkets. 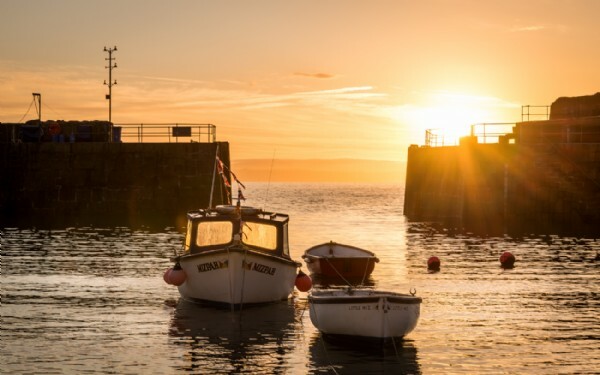 Discover places to see and things to do whilst in and around Trebudannon, Cornwall to truly enhance your stay come rain or shine! Bedruthan Steps Just ten minutes drive from Firefly (halfway between Newquay and Padstow) loom the stately rock stacks of Bedruthan. These mighty granite pillars have been carved out by the relentless action of thousands of years of wind and waves, and now provide a stirring spot for a sunset stroll. 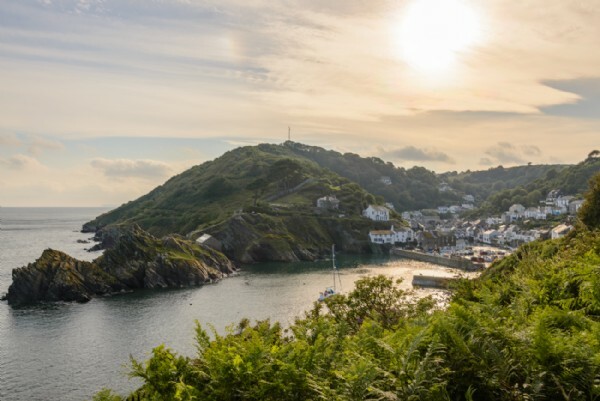 The beach itself is accessed via a steep staircase and is submerged at high tide; the area is owned by the National Trust, who also run the car park and cafe. On a Bicycle Made for Two Why not hire a tandem on the Camel Trail from Wadebridge to Padstow? The popular Camel Trail is a great day out, especially when combined with fish and chips on the quay and a stop off at Camel Valley Vineyard. The perfect excuse to stock the fridge during your stay! 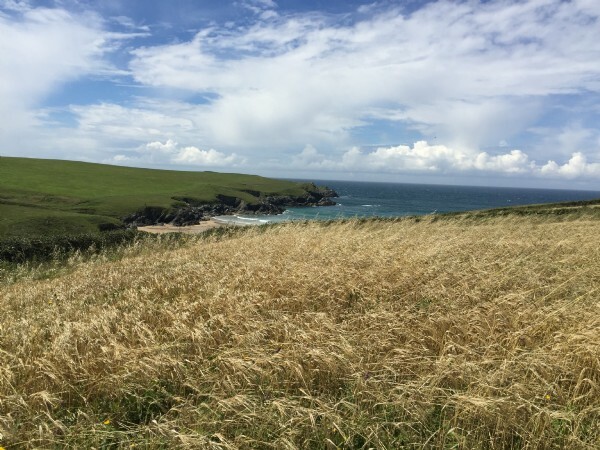 Coastal Walks to Inspire Pack up a picnic and choose your favourite from from the abundance of north Cornwall coastal walks on offer. The walk from nearby Treyarnon to Mawgan Porth is an absolutely stunning coastal walk that will make you gasp in wonder at the dramatic seascapes and coastal backdrop. The Deep Deep Blue Ever wanted to try your hand at Scuba diving? You can explore Cornwall's top wrecks and reefs, take a snorkelling tour, experience a wildlife sea safari and more at Dive Newquay, just 15 minutes drive from Firefly. Giddy Up Have you ever dreamt of galloping across golden sands through crested shore-breaks with the wind in your hair and sea-spray on your face. 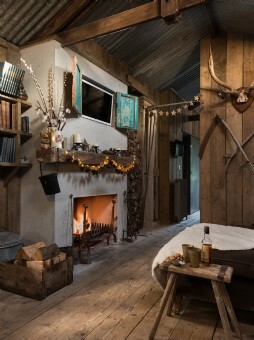 Why not make this dream a reality whilst staying at Firefly? 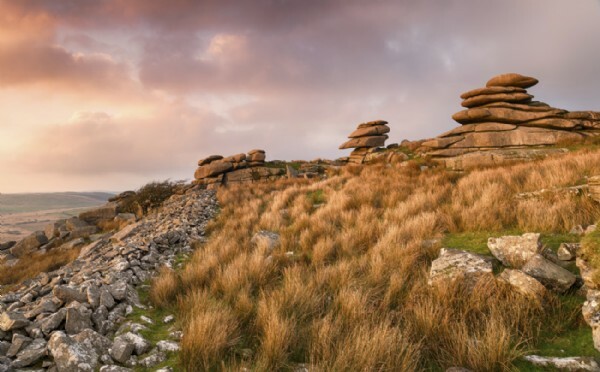 A Poldark adventure..The vast rugged moorland of Bodmin moor is a dramatic backdrop for hacks and ride outs too. Inspiration Unleash the artist within you...and take up an inspirational art course under the wing of renowned Trompe L'oeil artist Janet Shearer. Surf's Up! 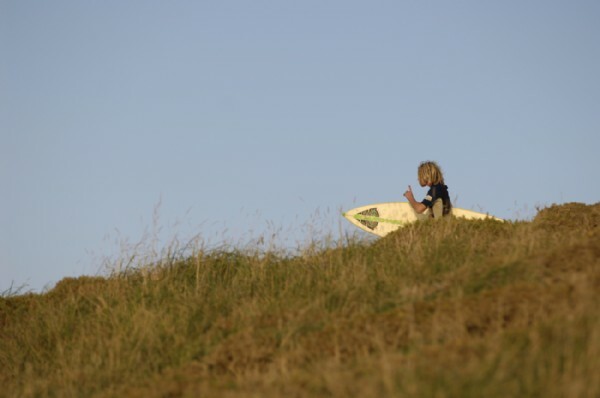 Don’t miss the opportunity to grab a board and hit the famous Cornish waves. Watergate Bay has an excellent surf school while Lusty Glaze also boasts an extensive adventure centre including jet skis, a zip wire and cliff abseiling. And after hunker down in the cosy café and watch the local pros in their playground. A Date With a Difference For a quirky fun way to spend a romantic afternoon, why not visit St Eval Kart Circuit (10 minutes away) and enjoy the thrill of the revving engines and the rubber on tarmac by racing your beloved around the track; the only one of its kind in the South West. Afterwards be sure to stop off at the nearby chocolate factory's cafe to recharge with the best hot chocolate around and a bar (or three) of handmade melt-in-the-mouth deliciousness. 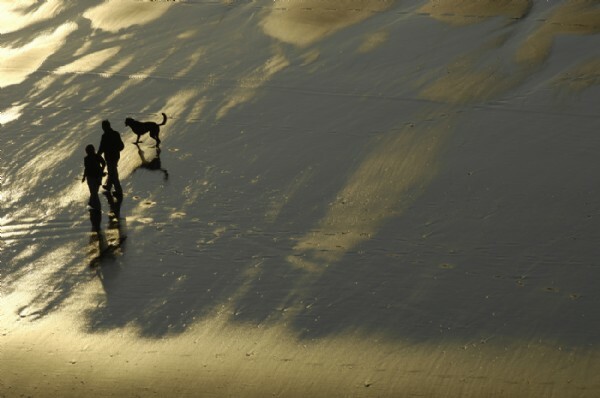 Nearest Beaches Watergate Bay 7 miles, Crantock 8 miles, Bedruthan Steps 7 miles, Mawgan Porth 7 miles. 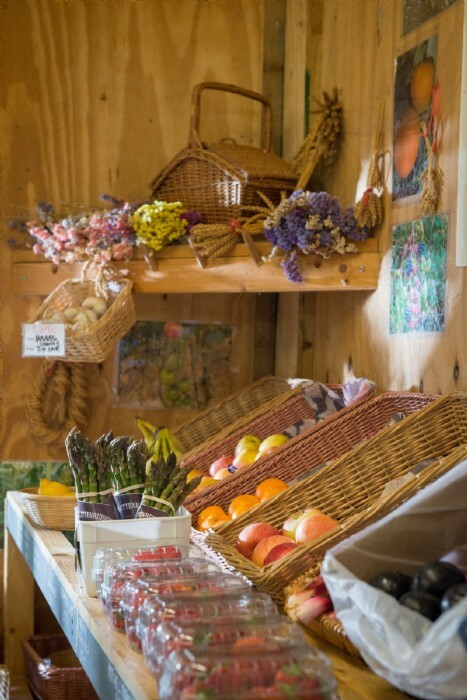 The open plan country kitchen includes everything you need to create for a foraged feast for two! 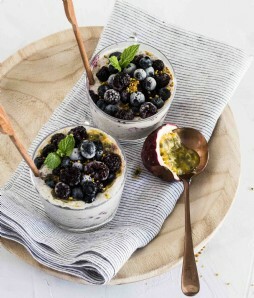 Explore the hedgerows on Firefly’s doorstep to find edible berries and nettles, or take a Cornish culinary class and learn from the experts. The outside wooden veranda is perfect for starry-night al fresco dining. 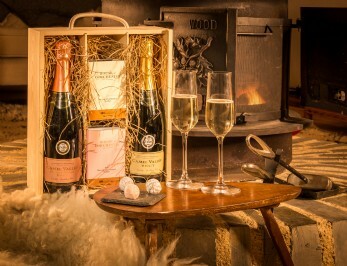 Cook over coals on the deck for an authentic ‘into the wild’ experience. 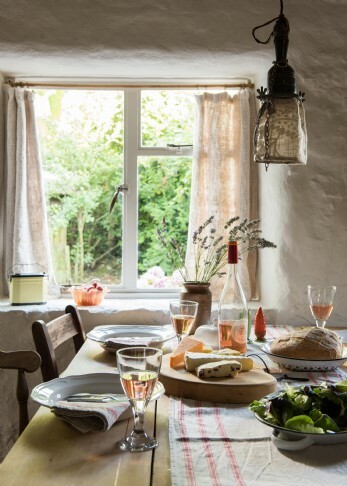 If you'd rather spend your luxury cottage holiday indulging in the little luxuries, let an in-house chef prepare a mouth-watering meal for you and your party (on prior request and subject to an additional cost). Head to Watergate Bay to sample their scrumptious taster menu and striking scenery at Jamie Oliver’s famous Fifteen restaurant. For jaw-dropping coastal views over Fistral beach head to Lewinnick Lodge in Pentire, Newquay. The nearby Mecca of Padstow is only a short coastal drive away, where you'll find the renowned seafood celebrity chef restaurants. 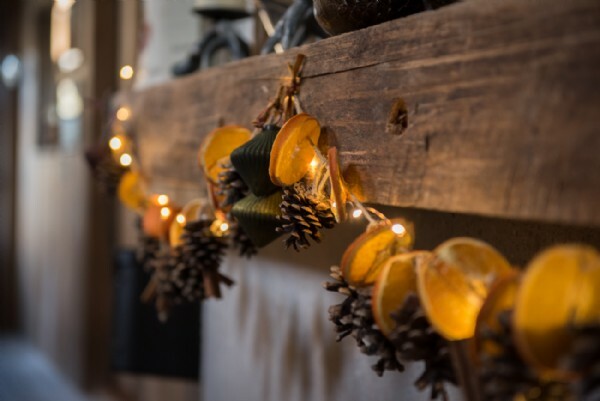 For cosy country pub with character in abundance, head to The Smugglers Den in Cubert.